Previous Post: What Was the Last Compliment Someone Gave You on Your Makeup? Nope, I definitely wouldn’t use it – into the trash it would go! Use lipstick felt in a toilet??? No! No! No! Once again – NO! The water in there is full of Escherichiae coli – the germ that prooves – here faeces live💩💩💩. Doesn’t matter how clean you try to keep it – it’s not operatiom hall. If you love to brush it clean with all sort of cleansers, then I’d say – even worse. Because these substances are toxic and by no means should appear on your lip! I don’t have so favourite lipsticks which I cannot replace with anything ….Anyway, I own way to much makeup and I already struggle to use it out till it’s exp date. To keep somethimg that bears traces of foecal matter – that’s a NO for me! Makeup’s not worth it! Not a surpirse – I’d also never eat the soup where someone has pooped in. Lelde makes some excellent points about e-coli–not to mention all the other types of bacteria and viruses that lurk in the toilet–and cleaning chemicals. I cannot think of any rational that would make it OK to use that lipstick. Nope I would not be able to use that lipstick again! I do love the packaging though. If you really wanted to, maybe scoop out the lipstick, wash and disinfect the packaging, and use it to store a new velvet trddy? I’ve seen videos where you can melt and remold a lipstick? Psychologically even if I was assured by the medical community it was ok, no, just couldn’t! I’m pretty sure that’s not sanitary no matter what, and doubly for a product you put on your mouth! Toss that immediately! OMGoodness!!! Gurl! You cracked me up!! “Asking for a friend! !” I totally would!! Rub that bad boy in alcohol and pray to the makeup gods to bury that little horrific event DEEP, Yes DEEP in the memory banks!! It’s MAC Velvet Teddy – and it’s Limited Edition!!! What were you thinking??? LOL. I’m pleased as punch! I haven’t had any funds for treats in months, and a friend blessed me just a few days ago – loosening up the old budget belt- I have been salivating over the NARS Skin Deep Eyeshadow Palette for awhile, and full well knowing I couldn’t have it. (boo-hoo). I really wanted the Morphe Bronze Gold palette too- I almost used my food money for it—I know obsessed – but by the time I looked, it’s gone too.. Well, I checked Sephora, and bam – out of stock – NARS, out of stock!! I was mortified! Ah, light shinning from above ..Found it at Nordies!!! It’s on it’s way to me, with (never had this shade) MAC Paint pot in Painterly!! YES! I wanted Channel – they have a semi-new shadow-liner pencil at a whopping $34.00 but I just can’t. I am almost out of my Stylo Yeux Noir but it’s going to have to wait!! Of course I need another eyeshadow palette like a hole in my head– oh well, life’s short – buy more eyeshadow– and always save Limited Additions at all costs!! Sanitize the living hell out of it!!! No way. That lipstick would be dead to me. You know how water is: it finds and fills every little space, and there are so many little, unreachable spaces in a tube of lipstick. Anyway, one way or another, it was always going to be gone. It just happens to have been a little sooner than if you finished using the tube, is all. And I don’t think I’d keep the MAC lippy. It’s just LE packaging and at least you can still repurchase Velvet Teddy!! Just thinking here. If you live near an outlet mall with a CCO, you may still find that Velvet Teddy lipstick there w that LE packaging. I’m pretty sure it’s at the one near me. Might want to check it out if you can! Oh no…. I feel you! I‘m so torn about this…. perhaps if you completely wipe of the surface with a clean tissue and then afterwards dip it in isopropyl alcohol I think it should be fine, because I think the water (and potentially there living bacteria) would not get IN the lipstick because of the wax. But I am by far not a chemist and I think my mind would not allow me to use it again, because I would always think about this „desastrous event“. Oh, no don’t use that lipstick that fell in the toilet. E. coli, mold microspores — heaven’s know what else is in there. It’s not worth the risk, even for LE packaging. Go to beautylish.com. Check out beautysoclean. It’s a company that sells a mist to sanitize lipsticks, any type of powder or creams.. But, that being said, a toilet it a toilet. Using a toilet dunked lipstick would be akin to smearing E. coli all over my lips. In my opinion. What is the matter with you?!!? Asking your readers those disgusting questions?! I mean really?! I for one do not want to read and answer questions like that! Gross!! Probably my comment will not get posted due to me simply telling the truth! Hey, you asked for opinions soooo that’s mine. Hospitals use 99% isopropyl alcohol to disinfect the skin before a needle or an IV is inserted. The alcohol kills any bacteria on the skin. If you immersed the entire tube of lipstick into the isopropyl alcohol it should effectively kill the bacteria. And the alcohol would evaporate leaving no moisture on the lipstick. When you sample a lipstick at a MAC counter they spray alcohol on the bullet to disinfect it before they use it on a client. I would argue that a lipstick tester at a MAC counter at the mall has the potential to contain more bacteria than your toilet bowl has. Tossing the lipstick would actually be a waste. I second this! I would use it again. Question for you: would you use makeup that’s been used on a corpse? I did. It was MAC Ellie Goulding LE co pact of CCBs. Dunked that thing in a vat of rubbing alcohol. I’m still alive and well. 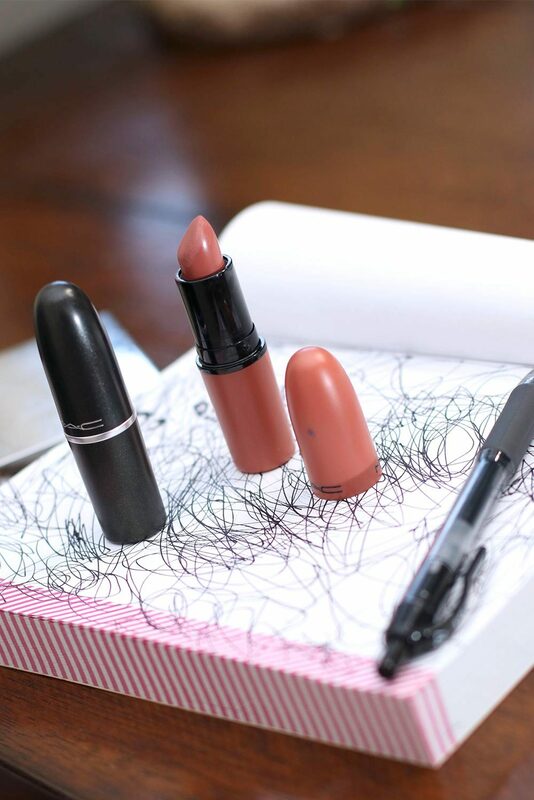 Pitch that lipstick. But first I would see if the case can be taken apart and cleaned. If so, clean it a million times (at a minimum) and put the new tube in the old sanitized case. If you try, you can pull it apart and use it. I’ve done it before, just because I liked a case. Interesting but sometimes i feel like the retinol lobby is out there to push product when sales go down. Retinol can make some people’s skin worse. It’s not for everyone that much cell turnover. Gurl!! 🤭🤢🤮🥴😳😖 Just no!!! No!!! No!!! Really?! You’d use the 💄 AGAIN??? I don’t care if it’s your toilet or another’s toilet, toss it!! It don’t matter how much you clean that porcelain, honey it’s still going be diiiirrrttyyy! Sorry not sorry, just telling you the truth! Ewwww🤢 No, no, no, no…!! You are forgiven for even thinking about keeping that nasty lipstick! It’s jus lipstick. You seem to have plenty of makeup to love and then some. Other things are more important dear! I would not eat no nasty soup like that, nor would I consider it either! Disgusting! I think Mina recognized her name but I usually used the full “Mina Ballerina Pretty Princess! !” greeting whenever I saw her. It’s good brands are finally paying attention to folks with melanin. Even 8 years ago when I worked at Macy’s it was a struggle to find shades for some people. Amazing! I’m laughing so hard I can relate! I would be sad but I would toss it. One option would be to toss out the lipstick; sterilize the tube with a solution of bleach & water, sterilize it some more with alcohol, sterilize it again with antibacterial soap then replace it with a new lipstick. Yuck yuck yuck and many yucks! What’s with the yucky ?’s I was scrolling through your blog that was recommended to me by a friend and I saw this!🤢 immediately I clicked off. No way am I reading through this garbage. She called me and I told her that she can immerse herself in reading your blog all she wants but not me sweetie.